I See Me: My Christmas Sing-Along Book - Frugal Mom Eh! Gather ‘round the Christmas tree to share favourite Christmas carols with your child. 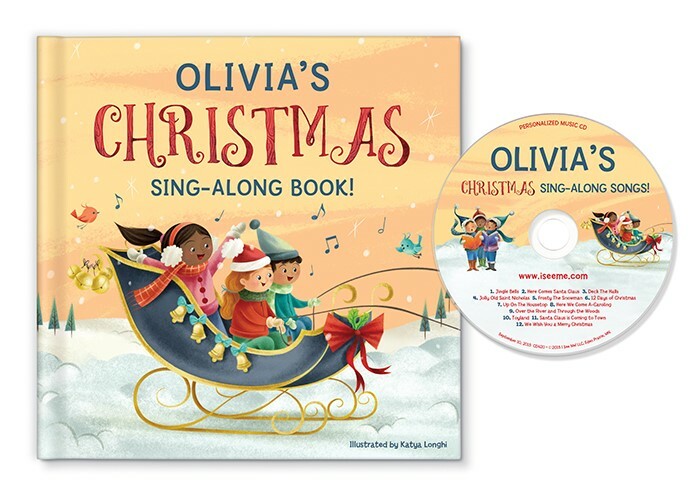 My Christmas Sing-Along Book is a hardcover personalized book featuring nine classic children’s Christmas songs, each personalized with your child’s name! Keira has been so jealous of Ava and her personalised Sing-Along book from I See Me. Both girls love dragging out one of their CD players and bringing it down to the sitting room to sing and dance along to the songs. It’s definitely one of their favourites! You should have seen her face light up when she first saw the book and CD, and how happy she was when she heard her name being sung. Even better yet, they are some of our favourite Christmas carols! She has been playing the CD over and over ever since. She seriously cannot get enough of being the star in these beloved songs. The book and CD can be personalised by first name only but the first page of the book can include your child’s first name, birthday, a personalised message and even their photograph. 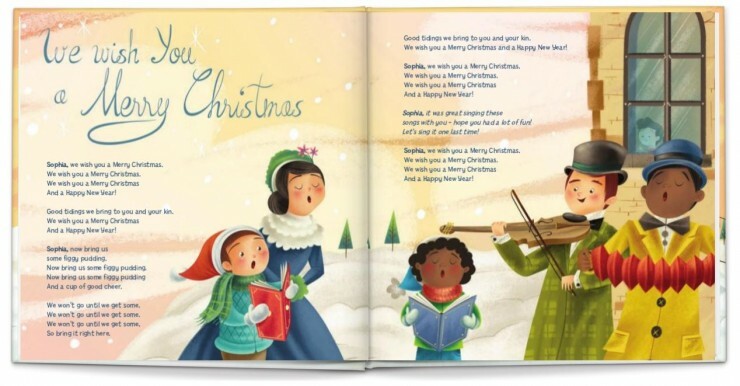 I would definitely recommend My Christmas Sing-Along Book from I See Me as a Christmas gift for any child between the ages of 0-8. What a fabulous gift! This would make a great gift, love personalized books and this one has the bonus of the music! Ah how perfect! Especially for the littler ones, thank you for the fabulous gift idea. I wasn’t aware they made sing-a-long books! Brilliant! My daughter has recently been starting to read the words to sing along at church. She would enjoy this book!